1. Common metal heat treatment includes annealing, normalizing, quenching and tempering. 2. 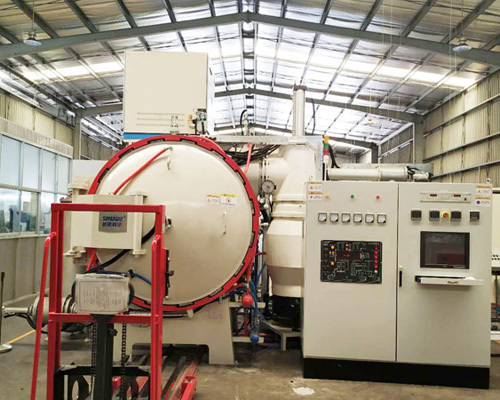 Surface metal heat treatment includes induction heating surface quenching, flame heating surface quenching, electric contact heating surface quenching, carburizing, nitrification and carbonitriding. 3. Other heat treatment includes controlled atmosphere heat treatment, vacuum heat treatment and deformation heat treatment. According to the position and function of metal heat treatment in the process of parts production, heat treatment process can be divided into preparation heat treatment and final heat treatment. Prepare heat treatment is the intermediate process in the process of parts processing (also known as the intermediate heat treatment), its purpose is to improve the forging and casting blank parts organization, eliminate stress, to prepare for the subsequent machining or further heat treatment. Final heat treatment is the final process of parts processing. The purpose is to achieve the desired shape and size of the parts after the molding process to achieve the required performance.